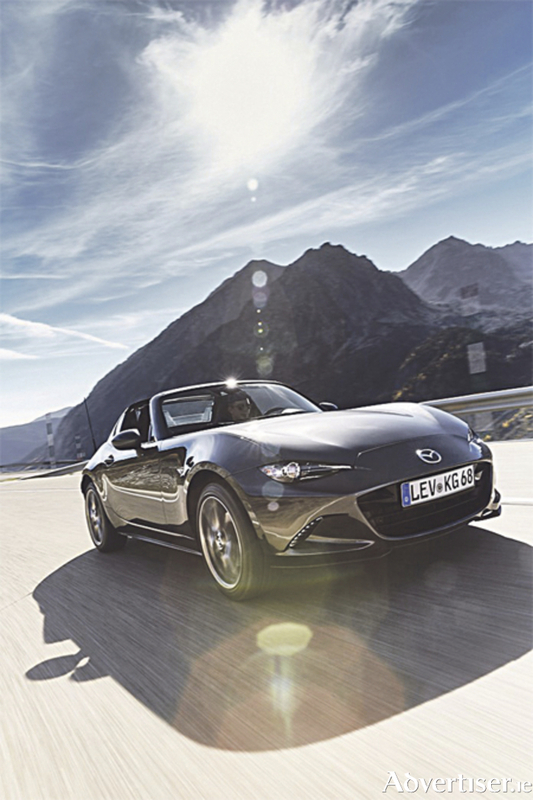 The long-awaited Mazda MX-5 Retractable Fastback was officially launched in Ireland during the first week in February. There are two engines available in the MX-5 RF line-up. A 2.0-litre SkyActiv-G engine with 160ps will join the 131ps 1.5-litre engine, which is already available in the MX-5 Roadster. The more powerful engine will be available in the GT grade and will feature a limited slip differential and 17-inch wheels, as well as Bilstein dampers and strut brace to further enhance the dynamic set-up. There will be two grade levels with the Mazda MX-5 RF. Across the range, the MX-5 RF features alloy wheels, LED headlights, MZD Connect, cruise control plus automatic air conditioning. Mazda MX-5 RF GT models with the 1.5-litre engine are distinguished by 16-inch Gunmetal alloy wheels and Piano Black wing mirrors, while the 2.0-litre GT is differentiated by 17-inch bright alloy wheels and body coloured wing mirrors. Both engines in the higher spec also feature rain sensing wipers, rear parking sensors, smart keyless entry, 9 Premium Bose Surround-Sound, and heated leather seats. The MX-5 RF joins the fourth generation MX-5 Roadster, which was launched last year and has since won numerous awards including the 2016 World Car of the Year and 2016 World Car Design of the Year. With more masculine undertones and the availability of a sportier 2.0-litre engine, the MX-5 RF aims at adding to the success of the Mazda range by appealing to a wider market and winning judges’ hearts to add to the 280+ awards the model has already won.